Today's post is a good news for all those people who use Google AdSense to earn money from their blog or website. Which was a problem for making great revenue from AdSense for many websites. Like many sites are those that contain a lot of content and they have a lot more space on every single page to display ads, even more than enough space. 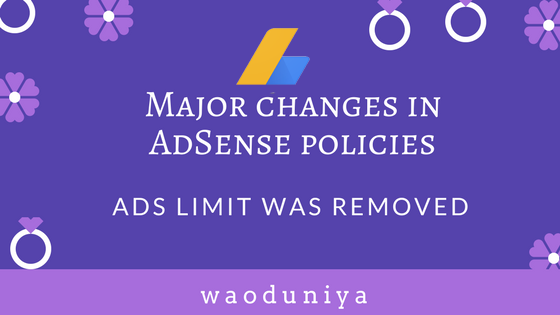 But as long as the policy of AdSense does not allow, no one could have displayed more than fixed number of advertisements in their terms on their website or blog. But now you can display as many ads as you want to display in natural and genuine ways. 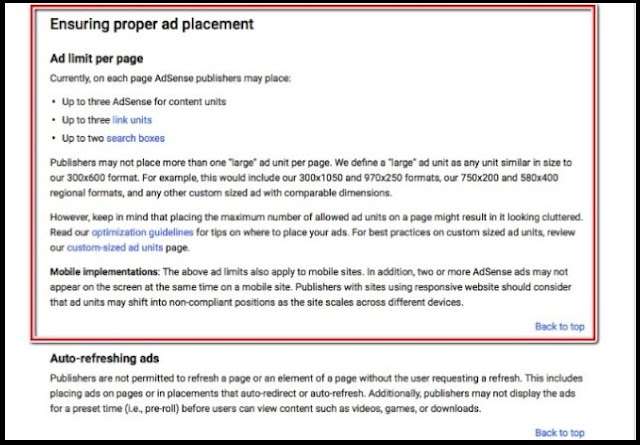 But now there have been some significant changes in Google AdSense policy. Let's know about these policy changes. Below are two screenshots given. 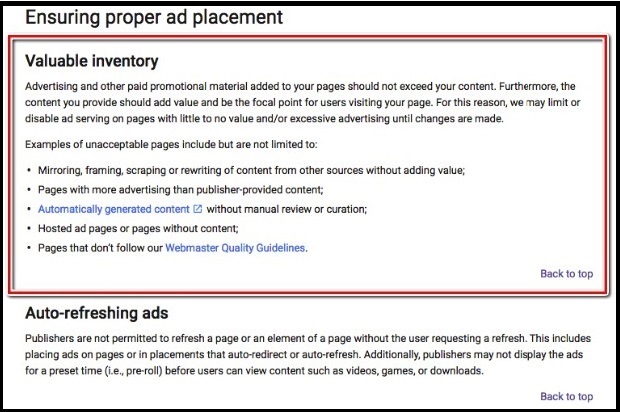 The first screenshot is from AdSense's old policy and the second screenshot is the new policy in which the name is "Valuable Inventory"
Now you can place more than 3 ads on any webpage. You can also apply more than one large Ad Unit (> 300 × 600) to a webpage. This policy still allows a single unit of 320 × 100 above the fold in the mobile. Yes, but there is no limit below the fold. Now, as you can place as many ads as you want under the new policy, this does not mean that you only fill your entire webpage with ads. If this happens, they hold full sole responsibility to ban your Google AdSense account. So, add as many ads as you and your readers are good for user-experience.